This entry was posted in life and tagged fear, fear of failure, fear of success, grace, growth, mistakes, perfect, perfectionism by terry morgan. Bookmark the permalink. I am SO needy for the grace of God! Great quote, Sus! Thanks! Awesome post! I think you’ve spoken to the heart of anyone who genuinely wants to improve who and what we are–even if we don’t use the word “perfectionist”. Maturing is something I need. 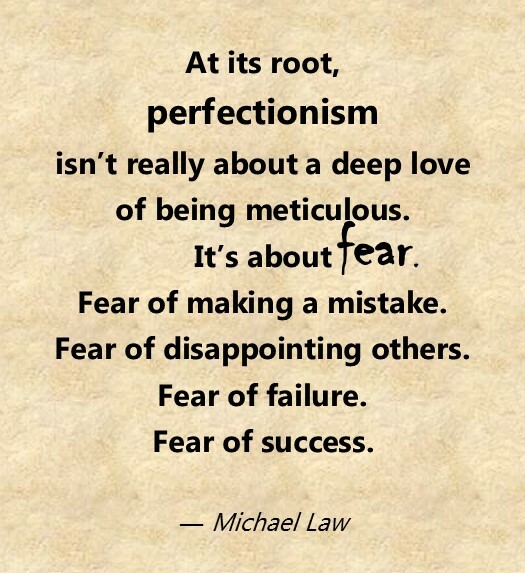 Seeking to be perfect is a rocky road to failure and frustration. Thanks for the great picture, Ter. I appreciate the thought that it’s not a deep love of being meticulous but out and out fear of failure. Amen and amen!